It can be hard finding a healthy breakfast that children enjoy, so many cereals are full of sugar. So this low sugar nutty chocolate granola made with JimJams chocolate spread is ideal to make on National Better Breakfast Day. 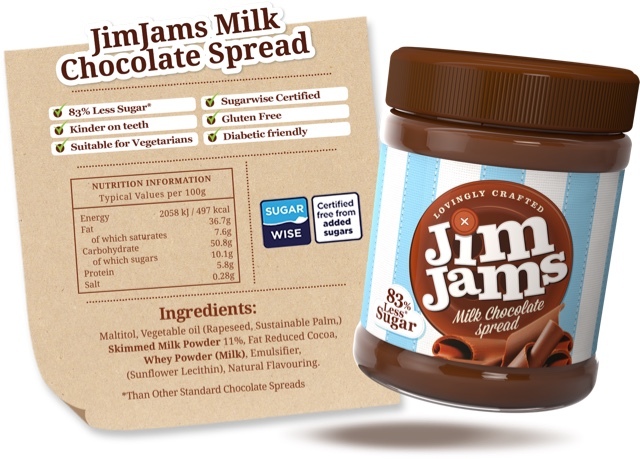 JimJams chocolate spread has 83% less sugar than standard chocolate spread. Combine the oats, Wheat Germ, Sunflower seeds and Hazelnuts in a large bowl. 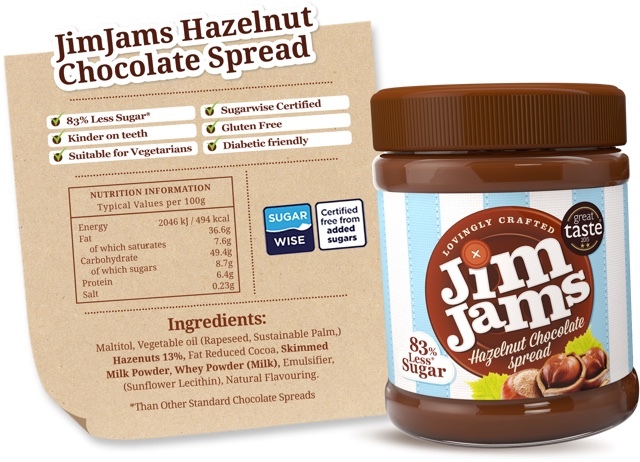 Put JimJams Hazelnut Choc Spread in a microwaveable dish and heat in the microwave on high for 30 seconds. Mix the melted JimJams Hazelnut or Milk Choc Spread with the Honey and Olive Oil. 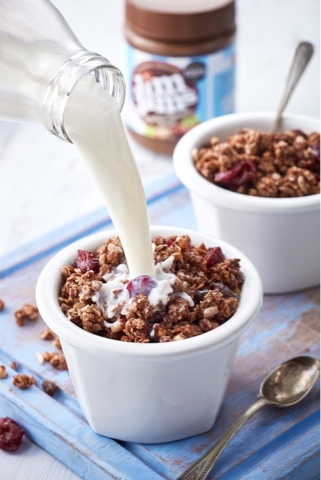 Pour the Choc mix over the Granola mix and stir to coat. Spread onto a baking tray and bake in the oven for 10 minutes. Remove from oven and leave to cool, breaking up the mix and stirring as it cools. Once cool mix in Raisins and Cranberries. Leave in air tight container until needed.